Kangding is the launching point for the trek around Gongga Shan, known as Minyak Konka in Tibetan. Gongga Shan is the highest peak in the region rising to 7556m / 24,790 feet. This trek is popular for both Buddhist pilgrims and trekkers. Depending on which route you take, the trek takes between 7 and 10 days. In addition to Gongga Shan, there are 20 other peaks within 75 kms of Kangding that rise above 6000m / 19,700 feet. 1) Does Zhilam Hostel organize treks? As a business, we do not organize treks. But we want to help you have the best experience here, so we are happy to introduce you to those who do. We do rent outdoor gear so that you can experience the area also on your own without a guide should you want to do that. High end tours and treks can be organized by Extravagant Yak. 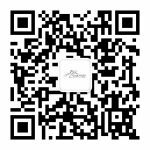 They can help organize and customize your tour not only in the Kangding/Ganzi area, Yala and Gongga mountains, but all over Tibetan areas. Patru is one of our most trusted employees and friend. He would like to start his own trekking business and we are going to help him start. Please see this link for more information. Run by Angela & Djarga, Chyoger Treks at www.definitelynomadic.com specialize in all inclusive treks in and around TaGong and YaLa Mountain. 2) Can we do a trek on our own? Many people do trek on their own. You should be well trained and skilled in the outdoors. There are many difficult high passes, treacherous paths, and not to mention wild yetis out there. Most importantly do not trek completely on your own (one person)…that’s how people die. With that said, here is some information we have put together for those of you interested in trekking Gongga area without a guide. Please come visit us at Zhilam Hostel for the most up-to-date information and of course a hot cup of coffee before venturing out on your own. 3) Does a person need special permits to climb peaks in Sichuan? Climbing permits can be organized through the Sichuan Mountaineering Association. These permits are for those planning to summit peaks, not for standard treks. Peaks over 7,000 meter: Rmb 2800/person for groups less than 10 persons or Rmb 22,000 for groups over ten people. Peaks ranging from 3,500-5,500 meters: Rmb 500/person. Unclimbed “Virgin” peaks have additional prices. Please write for information. 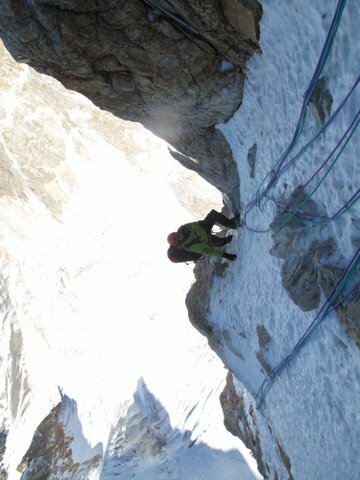 Every climbing group must have a Liaison Officer whose daily wage is Rmb 680/day. The Assistant Liaison Officer’s daily wage is Rmb 580/day (if deemed needed). The interpreter’s wage is Rmb 580/day (if needed). The cook’s wage is Rmb 480/day (if needed). If a “high altitude assistant” is needed, the wage is Rmb 880/day. Cost of food for each of these Chinese employees is Rmb 120/day. Zhilam Hostel is, time willing, able to apply for permission for you to climb mountains in our area. We will charge a small service fee for our time and effort. However, this will save you spending extra days (sometimes up to 20 days) in Chengdu applying for permission to climb. Do you have any other information? Any questions you have that aren’t answered here about trekking or climbing peaks? Click on one of the buttons below to visit our Traveler Forum to ask your question and we will do our best to answer it!